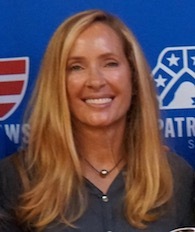 Kate Keith joined the Sierra Delta Board in 2017. She attended the Rhode Island School of Design, is a Certified CT State Master Gardener, and Owner of Katie Keith Designs. Katie is a Trustee of the Board of the Nantucket Conservation Foundation, Green House Propagation Chair for the Darien Community Center, Dragonfly Committee Member (helping to inspire change with mental illness on Nantucket), Interior and Exterior Designer and Consultant, and Outdoor Enthusiast. Her past interests include Board Member and Stewardship Chair of The Tree Conservancy of Darien, Board Member and Stewardship Committee for the Darien Land Trust, and District II RTM Representative and Department of Public Works Committee. Katie and her husband, Bob, have two children and split their time between Darien, CT; Nantucket, MA; and Nashville, TN. Sierra Delta is a 501(c)(3) under federal tax guidelines. EIN: 82-0989470.